What is a three-dimensional shape? In geometry, a three-dimensional shape can be defined as a solid figure or an object or shape that has three dimensions – length, width and height.Unlike two-dimensional shapes, three-dimensional shapes have thickness or depth. 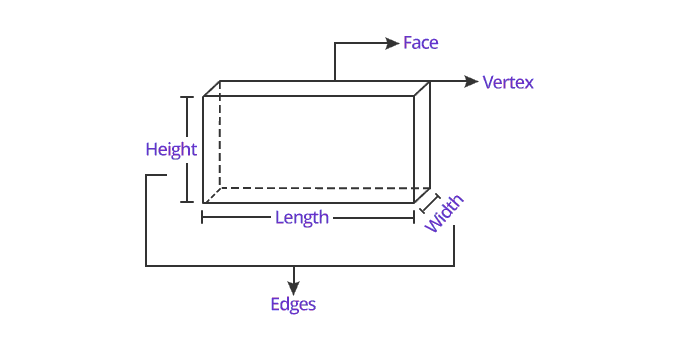 The attributes of a three-dimensional figure are faces, edges and vertices. The three dimensions compose the edges of a 3D geometric shape. A cube, rectangular prism, sphere, cone and cylinder are the basic 3-dimensional shapes we see around us. 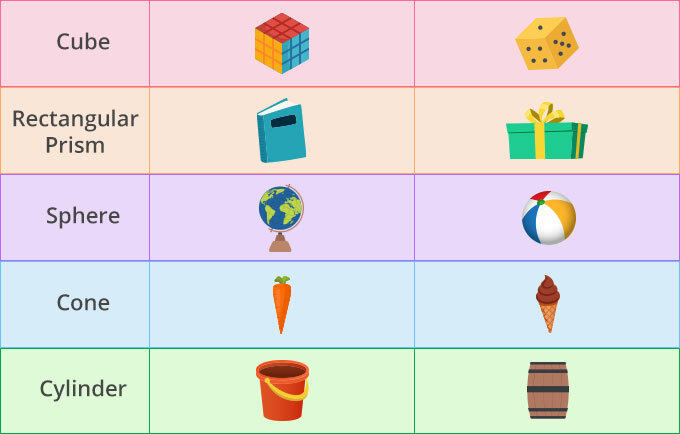 We can see a cube in a Rubik’s cube and a die, a rectangular prism in a book and a box, a sphere in a globe and a ball, a cone in carrot and an ice cream cone and a cylinder in a bucket and a barrel, around us. Here’s a list of the 3-D or three-dimensional shapes with their name, pictures and attributes. 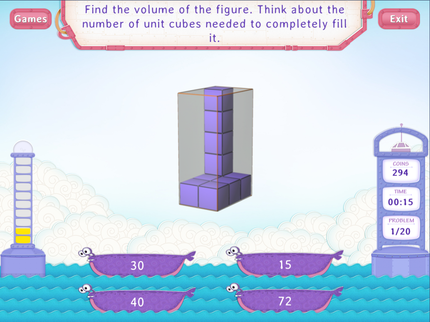 All three-dimensional shapes are made up of two-dimensional shapes. 3D shapes are fat not flat. Find a cone in a birthday hat! And a cuboid in a building so tall! And a cylinder in a shiny flag pole! Instead of showing videos around 3D shapes to your kids and kindergarteners, ask them to observe and spot things around them in which they can find three- dimensional shapes. You can further ask them to identify and sort the three -dimensional shape and it’s attributes.